Last night marked a series of firsts at the 2018 LA Film Festival. For the first time ever, the Festival kicked off with a documentary—part a special outdoor Opening Night event at the John Anson Ford Amphitheatre, in the hills above Hollywood. It was the world premiere of Echo in the Canyon, Andrew Slater’s chronicle of LA’s famed Laurel Canyon music scene, tracing the music’s roots from the hippie folk rock of the 1960s through the indie rock and pop of today. Said Film Independent President Josh Welsh, in his opening remarks: “We’ve never opened with a documentary, or at the Ford.” But the film itself was only the start of the evening’s festivities. 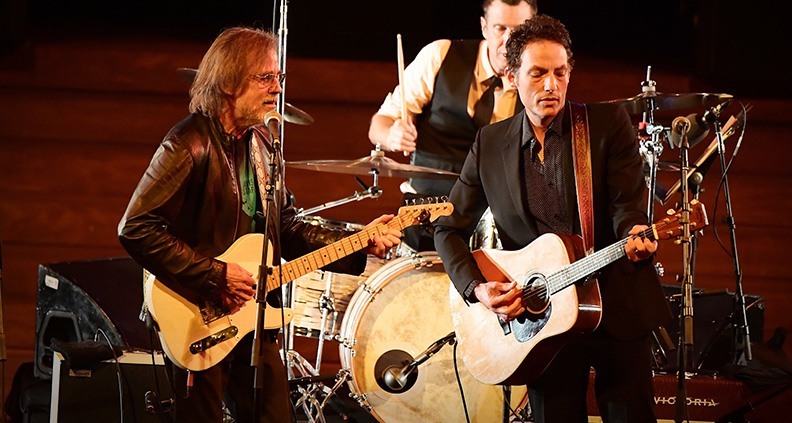 The screening was followed by Q&A moderated by Rolling Stone’s David Fear with Slater and two of the documentary’s star subjects: musicians Jakob Dylan and Michelle Phillips. After that followed 30 full minutes of live performances of classic Laurel Canyon tunes by the “Echo in the Canyon Band”—Dylan and his crack team of backing players, rounded out by special guests Jade Castrinos, Chan Marshall (aka Cat Power), Michelle Phillips and Jackson Browne. From the time they knew the film would premiere at the LA Film Festival, Slater and Dylan (one of the film’s executive producers) collaborated with LA Film Festival Director Jennifer Cochis to create a one-of-a-kind evening at the Ford. The anticipation was palpable. “It’s humbling to have anything you create be seen by anyone other than your mother,” Slater joked. Even the mayor had something to say about it. 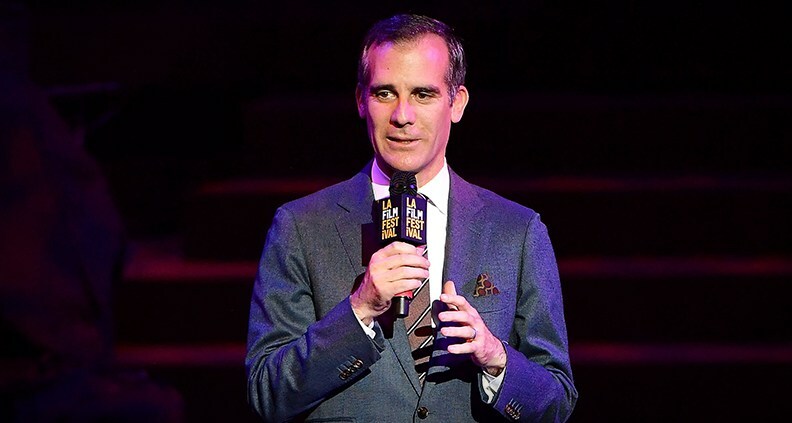 During opening remarks, Welsh introduced a surprise appearance by Eric Garcetti, who commented on how Echo so wonderfully captures LA and describing his growing-up years in the Valley— driving through the Hills with windows down, listening to the music created “just two canyons over,” he said. Garcetti celebrated the creative environment that cultivated Los Angeles’s legacy: “LA is a city where everyone belongs,” he said. To the time-honored guitar intro of The Byrds’ “Turn! Turn! Turn!” the screen lit up and the face of Tom Petty filled the frame. After some opening discussion with Dylan about a Rickenbacker guitar, the opening credits rolled—to enthusiastic reception. 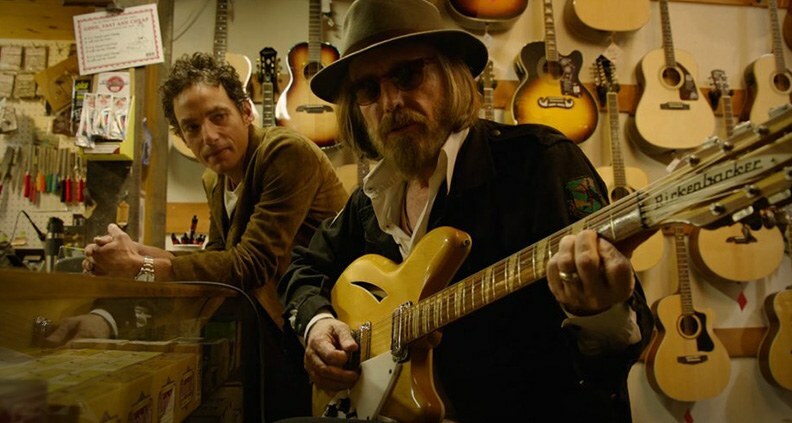 Featuring legends like Jackson Browne, Michelle Phillips, Stephen Stills and Eric Clapton as well as Slater and Dylan themselves, the film traced the origins of the folk rock movement that came from everywhere to settle along a winding Canyon Road in Los Angeles. The film bounces with ease between the history-making singer-songwriter explosion of the ‘60s/‘70s and the next generation of musicians who continue to be inspired by the scene. Throughout, Dylan leads his contemporaries—and his father’s contemporaries—in reminiscences and performances of classic hits. From Regina Spektor and Beck filling harmonizing on The Mamas & The Papas’ “Monday, Monday” to Norah Jones joining for a duet for The Association’s “Never My Love,” there is a lot of music in this documentary. In the Q&A, Fear moderated as Dylan, Slater and Phillips took the stage to discuss how the project was sparked by two things: the 50th anniversary of the initial Laurel Canyon explosion and—somewhat surprisingly—French New Wave icon Jacques Demy’s LA-inspired 1969 art house favorite, Model Shop. “The central character of Model Shop really is LA,” Slater said. Several scenes of the film feature in the documentary, tying together the Laurel Canyon music and its geographical location, where singer-songwriters were inspired to form bands. “It’s still my favorite music,” Dylan said of the scene. “It’s still poignant, still purposeful and needed.” He added that almost no adjustments were made to the arrangements of the songs for his live performances, given how well they still suit a modern aesthetic. To tie a bow on the evening, Dylan sang “The Waiting” in honor of friend and Echo in the Canyon subject Tom Petty. It left the audience on their feet. It was a stirring experience remembering and reliving the music that inspired defined a generation—and a city.